Mary Meduski is responsible for all finance, accounting, M&A, marketing and business development activities of the company and holds the same position with TierPoint. She has more than 25 years of financial experience in the media and telecommunications industries. 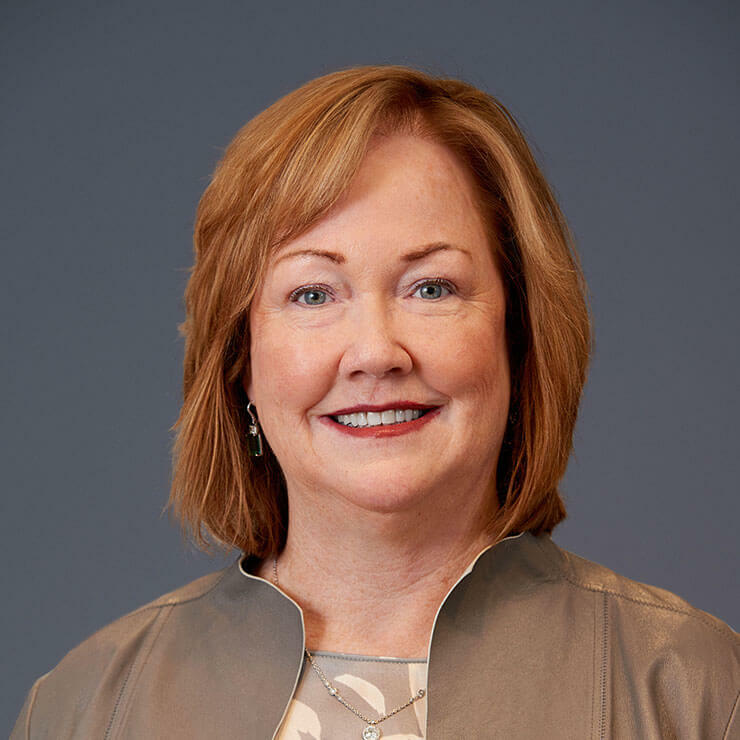 Prior to her positions with Cequel III and TierPoint, Mary served as Executive Vice President and Chief Financial Officer of Suddenlink Communications. She joined Suddenlink in July 2006 and was named to that company’s Board of Directors in November 2012. As CFO, she helped set Suddenlink’s strategic direction, raised capital to support the company’s growth objectives, and oversaw its accounting, tax, treasury, financial reporting, risk management, programming, and information technology functions. She played a key role in corporate development and maintained relationships with the financial community, including investors, lenders, and advisors. Mary was actively involved in the cable industry during her time at Suddenlink, having served as Chair of the National Board of Women in Cable Telecommunications (WICT) and as a member of the Finance, Governance, and Leadership Development Committees of the WICT National Board. She was named to CableFAX’s list of Most Powerful Women in Cable in each of the nine years from 2007 through 2015, and was named a Multichannel News Wonder Woman in 2012. In 2015, she was awarded one of the cable industry’s highest honors, the Distinguished Vanguard Award for Leadership. Before joining Suddenlink, Mary served as Executive Vice President and Chief Financial Officer of AAT Communications Corp., the largest privately owned wireless tower company in the United States at the time. Prior to joining AAT, she was a Managing Director in the Media and Communications Investment Banking Groups of TD Securities and BankBoston Securities. Mary holds a Bachelor of Arts degree from Cornell University and currently serves on the President’s Council of Cornell Women, the College of Arts & Sciences Dean’s Advisory Council, and the Cornell University Council. She holds an MBA from Boston University, where she graduated first in her class.